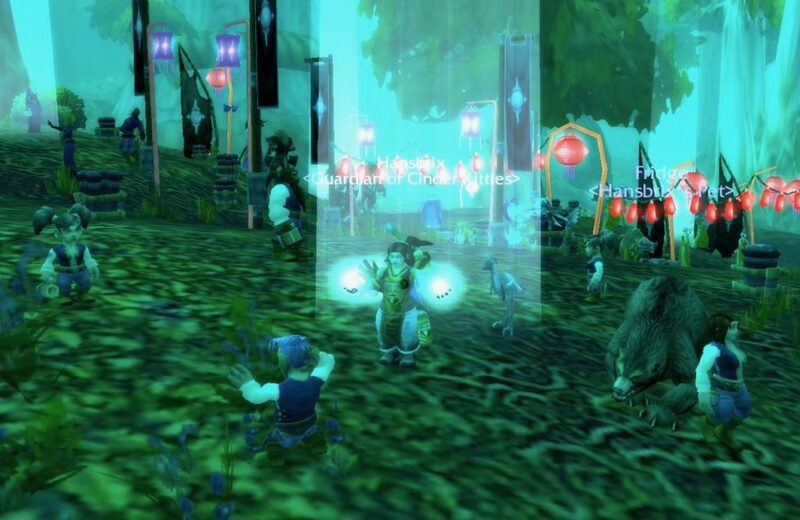 Lunar Fest is a world event in World of Warcraft. It corresponds to the Chinese New Year, or Lunar New Year, in the “real world”. 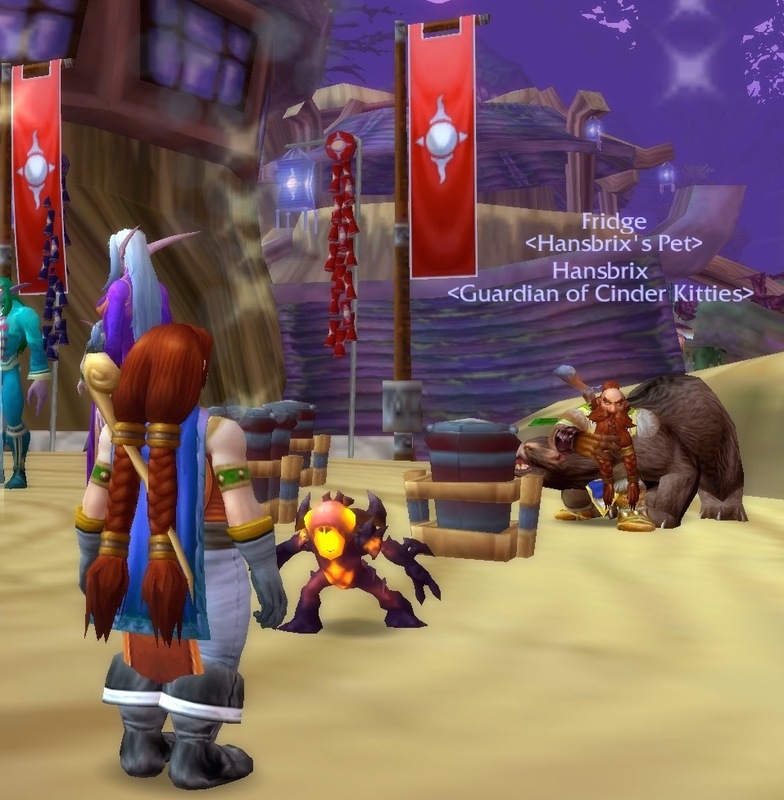 As you may have guessed, the dates that Lunar Fest takes place can change a little bit from year to year. 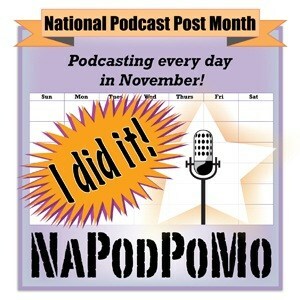 The screenshots you see in this blog were taken on February 16, and February 19, 2015. 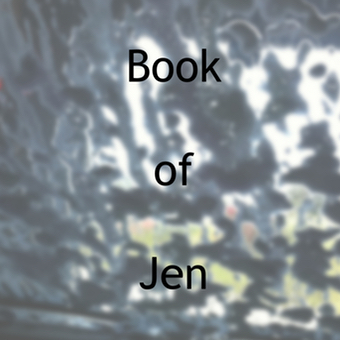 This blog is part of the series I am doing about The Dwarves. 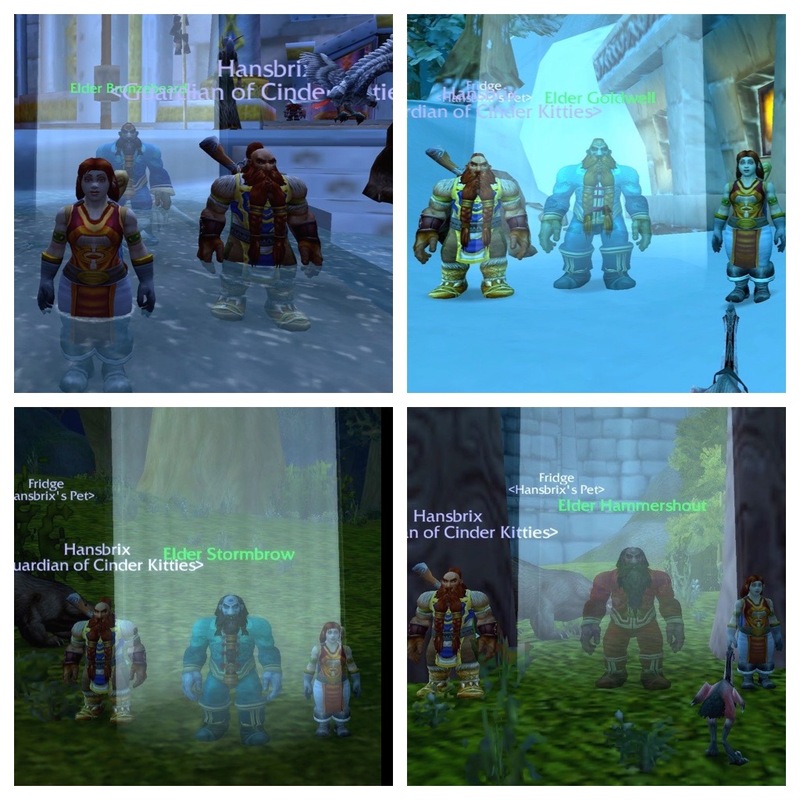 My husband, Shawn, and I started playing two low level Dwarf characters together. Mine is Bradanna, who is a Priest. His is Hansbrix, a Hunter who is the reincarnation of what used to be his main character (now deleted). 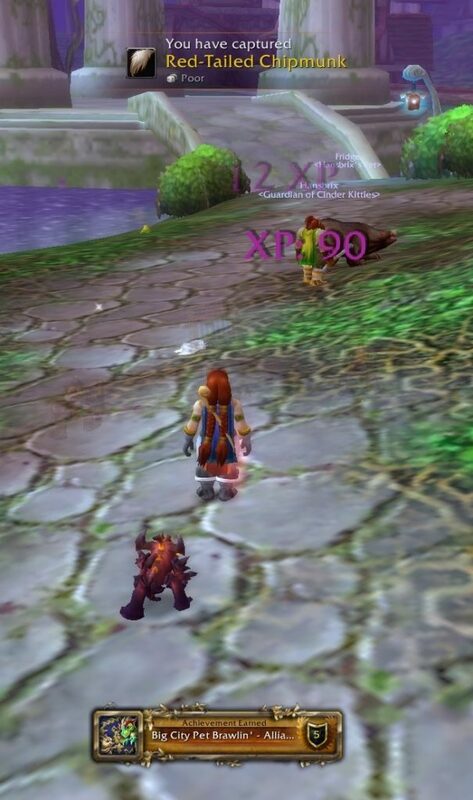 It was time to find out what these two low level Dwarves could do in Lunar Fest. 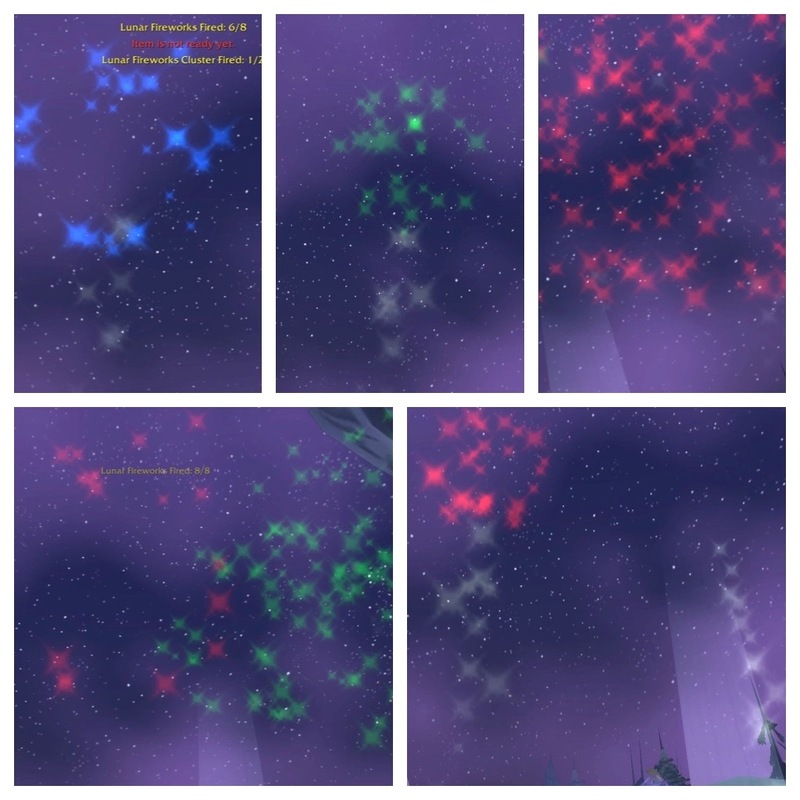 One of the best parts of Lunar Fest are the fireworks! You have to shoot some off to get Achievements or to finish the quest you get at the very beginning. It is super simple to not only obtain fireworks but also to shoot them into the sky. 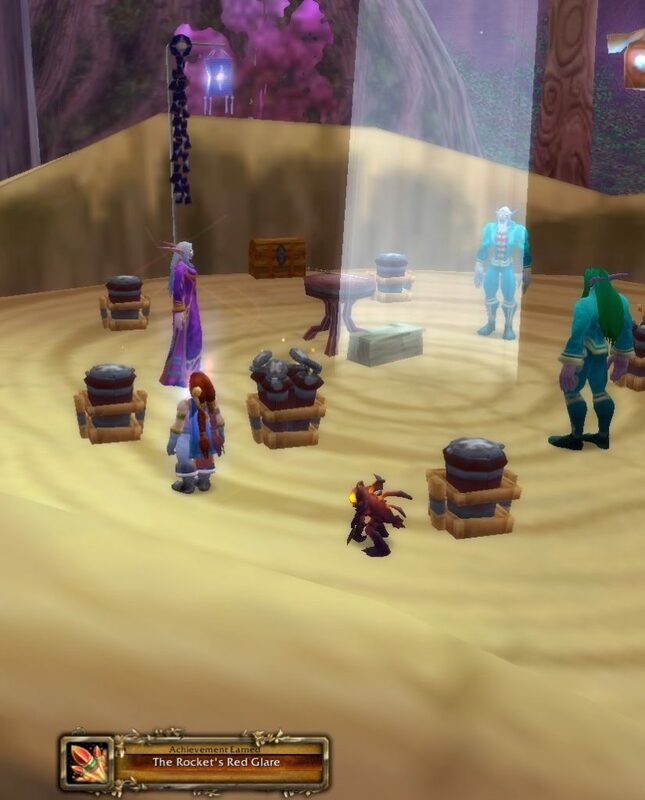 It’s my favorite part of Lunar Fest. 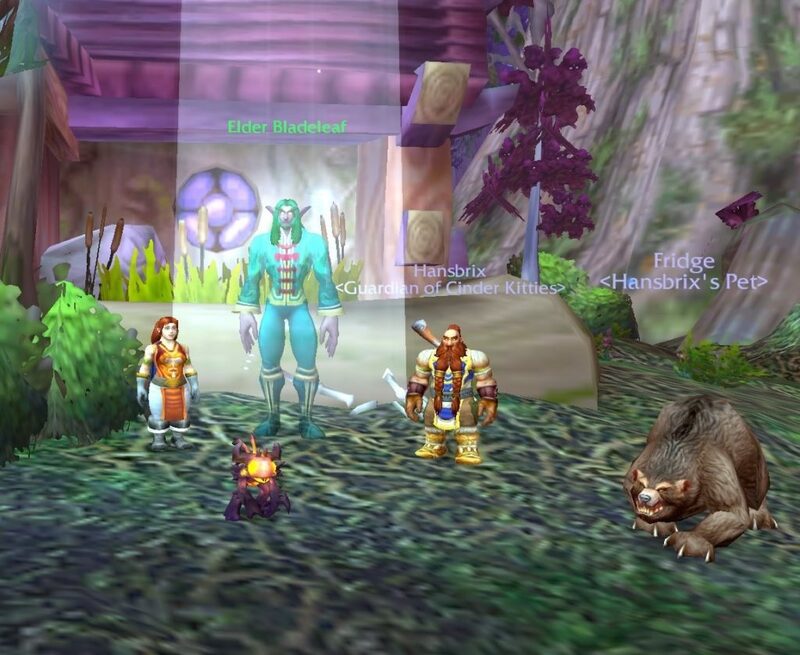 There’s not a whole lot to do in Moonglade for low level characters. 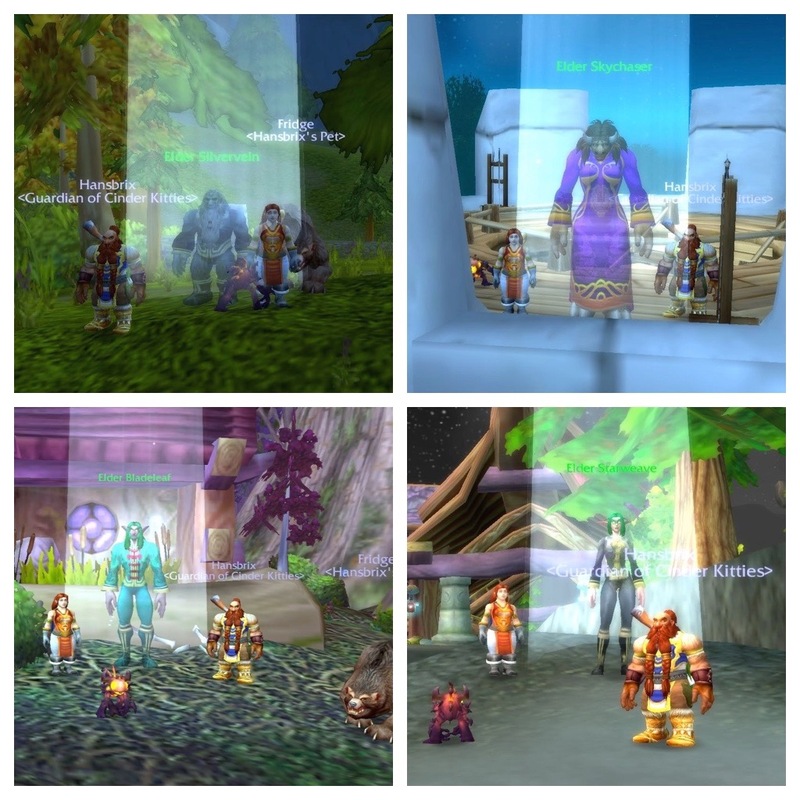 The Dwarves were able to talk to the Lunar Fest Vendor and the Host of the Lunar Fest. This is a good way to discover what holiday items were available and how many Coins of Ancestry they cost. It’s easy to come back later after gathering coins. 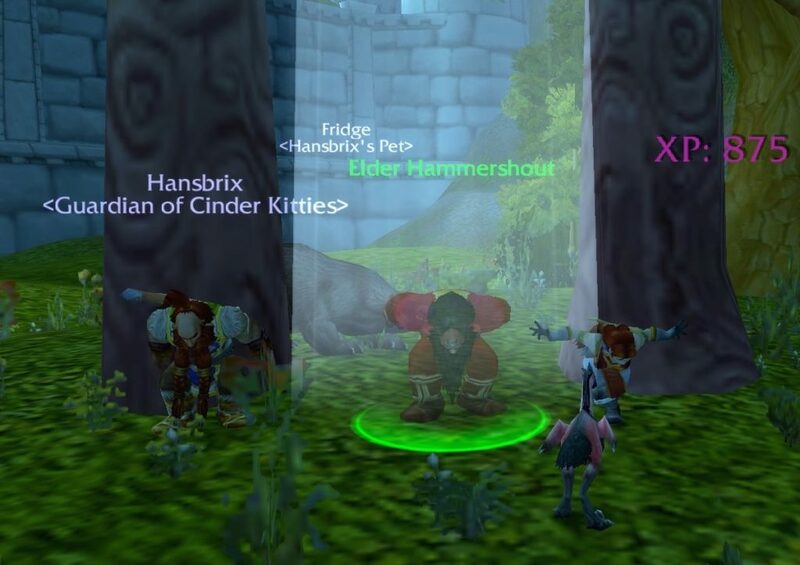 Hanxbrix discovered that the squirrels in Moonglade are a much higher level than the ones in Elwynn Forest. (And they bring friends to the battle, too!) It’s hard to see the squirrel in the screenshot below because he’s as green as the grass he sits on. The lighting in Moonglade is strange. 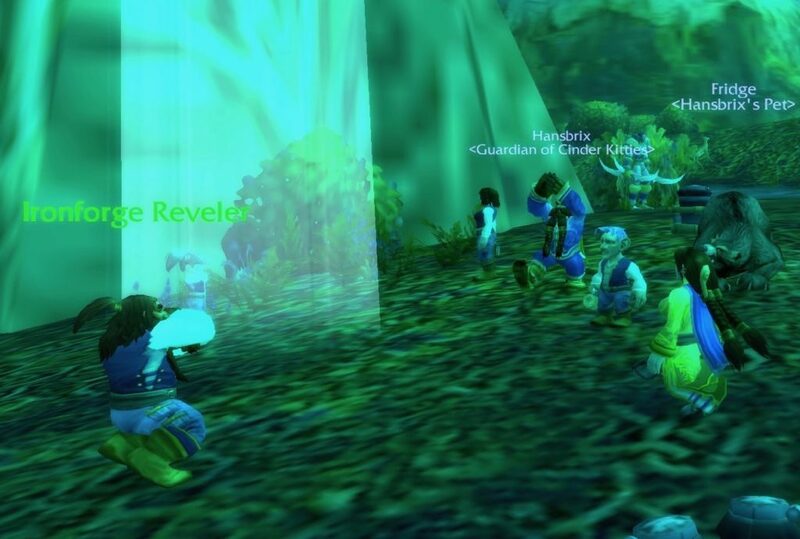 The Dwarves started seeking out the Elders immediately upon arriving at Ironforge. There were other fun things to do while out in this part of Azeroth. 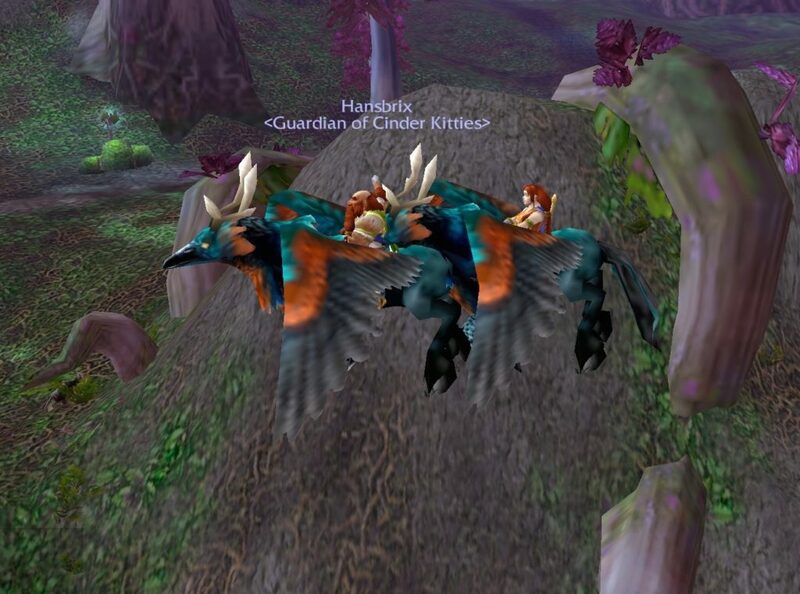 It started with the “Gryphon Train” that got The Dwarves ended up on. There seems to be a lot of overly friendly Gryphons around lately. The Rocket’s Red Glare: Shoot off 10 Red Rocket Clusters in 25 seconds or less. Hansbrix is throwing the rockets over Fridge, who decided that moment was a great time for a hug. 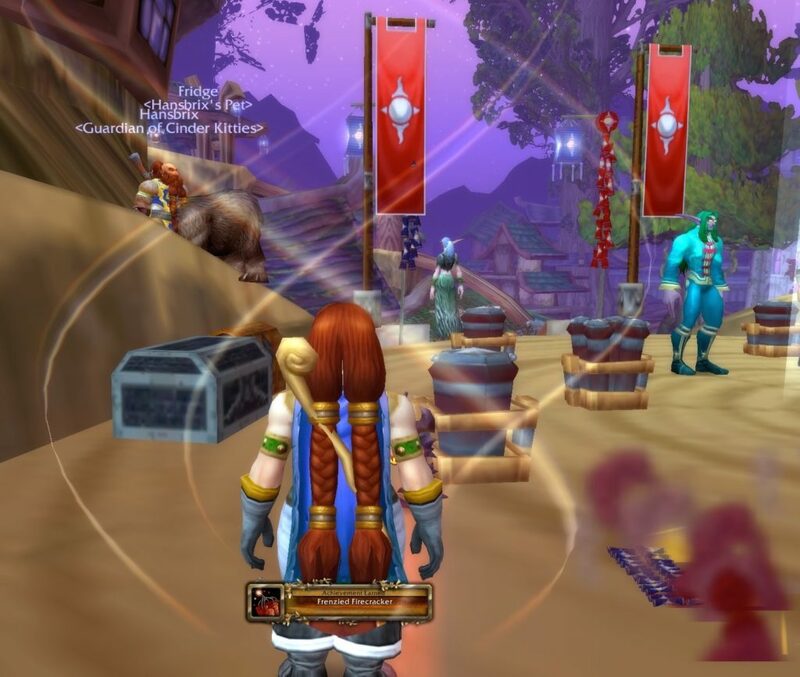 Lunar Fest Finery: Purchase a festive pant suit or festive dress with Coins of Ancestry. The Dwarves were rather limited in the number of Elders that they could visit. 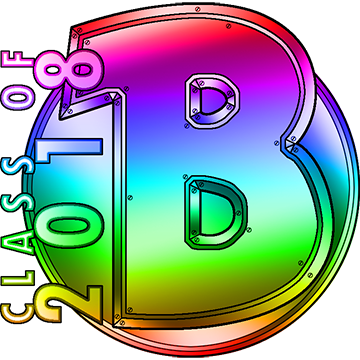 Low level characters generally don’t do so well in the higher level areas. The other problem was that they hadn’t explored much of Azeroth yet, so they didn’t have all the possible flight points. Even so, they ended up with just enough Coins of Ancestry for each of them to purchase some fancy Lunar Fest clothes. 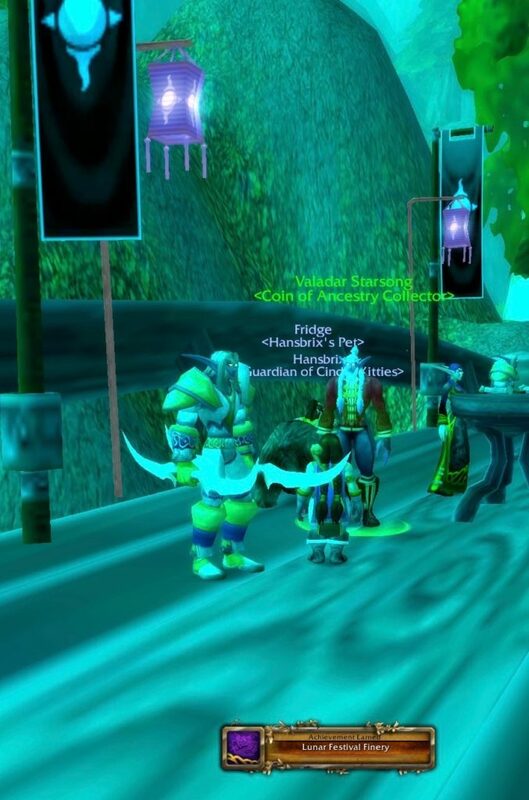 You have to get out of Moonglade to get a good look at the colors on the Lunar Fest outfits. The dragon embroidery is just beautiful! 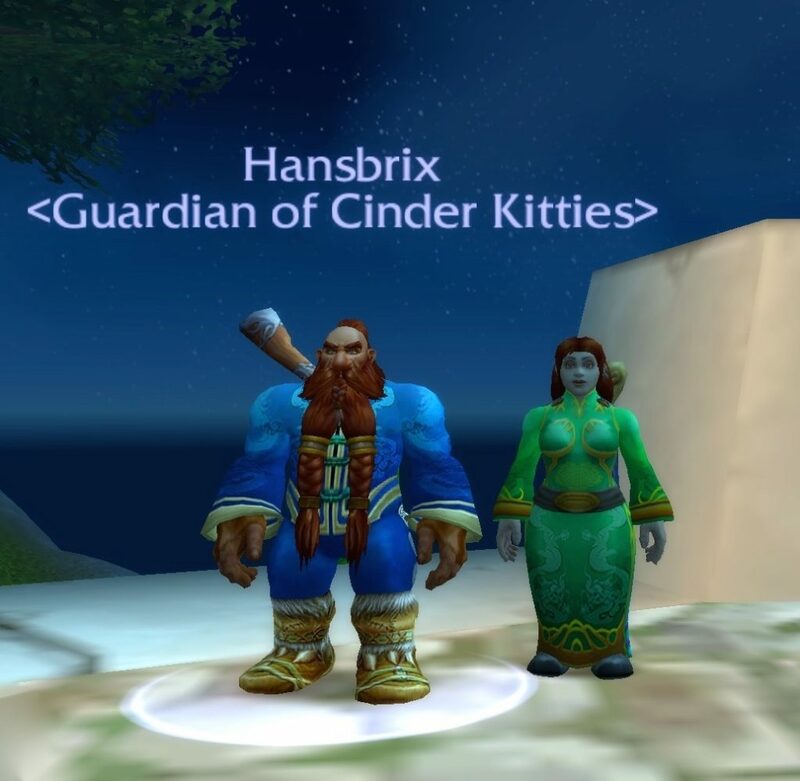 Thus ends the adventure of Hansbrix and Bradanna through Lunar Fest. Let’s end with a synchronized bow. 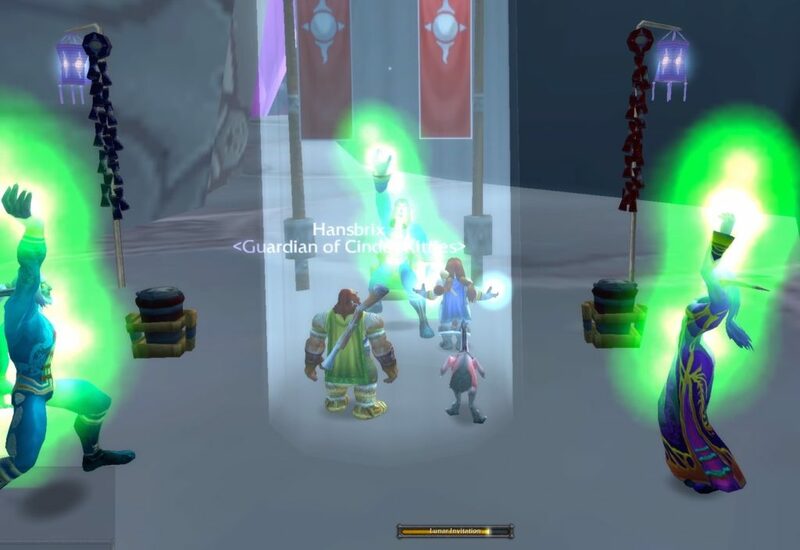 Next Elders of Northrend Achievement – Fail!